Sandra uses a "whole person approach" when taking care of her patients. She combines the very best evaluation methods and hands-on-techniques with state of the art rehabilitation and physiotherapy procedures. Sandra's biggest passion in life is to help free people from pain and encourage them to become and stay healthy. Sandra has recently returned to her home state of Queensland and she is committed to promoting the health and wellbeing of her clients. If you live in the Morningside, Cannon Hill, Norman Park, Camp Hill or Carina you should consider our clinic your neighbourhood chiropractic and wellness center. Sandra uses a "whole person approach" when taking care of her patients. She combines the very best evaluation methods and hands-on-techniques with state of the art rehabilitation and physiotherapy procedures. This enables Sandra to help you to accelerate and/or maintain your journey to great health. Sandra has continued to increase her repetitore of treatment methods through her post-graduate studies. She has undertaken additional study in Active Release Technique, Rocktaping and is an avid follower of the anatomy train philosophy. She continues to seek and undertake courses which enable her to provide the best possible treatment for her clients. Sandra uses soft tissue techniques (Active Release Technique, Myofascial Release, Trigger Point Release), Rocktaping, Selective Functional Movement Assessment, Cold Laser Treatment and methods which assist in improving the communication of the nervous system with the body (neuromuscular reeducation and analysis and treatment methods of Vladmir Janda M.D.). Sandra loves teaching clients simple rehabilitative stretches and exercises (basic movements) to help in correcting their posture and problems. This enables clients post-injury or with long term chronic problems to be helped to a greater extent than by just adjusting them and using physical therapy modalities. We are pleased to have Vanessa join Total Body Fusion. Vanessa was exposed to the benefits of chiropractic care from an early age, and having a personal interest in science, health, and fitness, studying chiropractic was a natural fit. 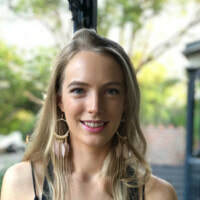 Hailing from Sydney, she studied her Bachelor and Masters degree at Macquarie University, where she also spent time as a chiropractic skills tutor before setting her sights on sunny Brisbane. 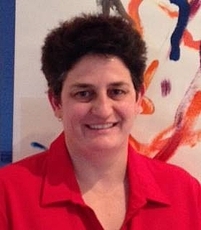 Vanessa has experience working with sports people, having worked with elite AFL teams, and as an injury manager for a state league football club. She completed further education and gained clinical experience in caring for babies, children, and pregnant women. Vanessa takes a diversified, tailored and evidenced based approach to patient care, working with patients to see what will deliver the best results, with an emphasis on education and self-help. Vanessa believes chiropractic is about more than just adjusting the spine, but achieving optimal function of the whole body. You can make appointments from our website using our online booking assistant or call our Clinic on 1300 140 692.